Security clearance lawyer John V. Berry, Esq. 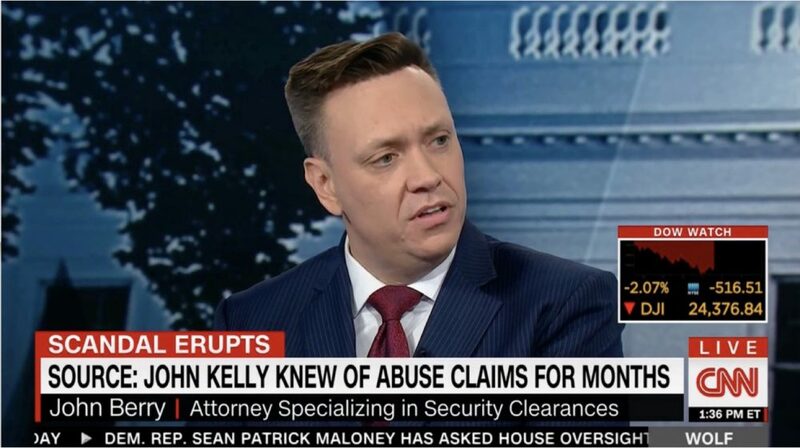 was interviewed by CNN with respect to security clearance issues being faced by the President’s Staff Secretary on February 8, 2017 by Wolf Blitzer. The interview focused on the ability of the White House to permit uncleared individuals to maintain interim security clearance despite serious issues pending.